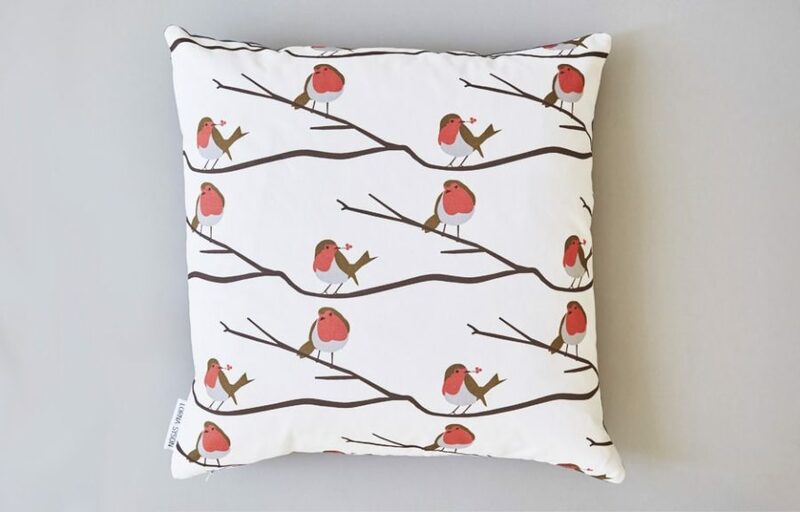 British Robin cushion in modern design with red breast birds adds an element of scandinavian feel to any room. Elegant enough for bedrooms and living rooms but also cute enough for nursery and kids wallpaper. 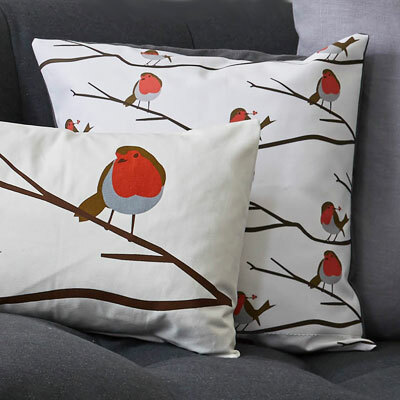 Our luxury feather filled cushions are made in the UK. A regular visitor to Lorna’s childhood garden, the Robin is a familiar and endearing bird. Spotted throughout the year in town gardens and country hedgerows, they make charming, inquisitive companions. 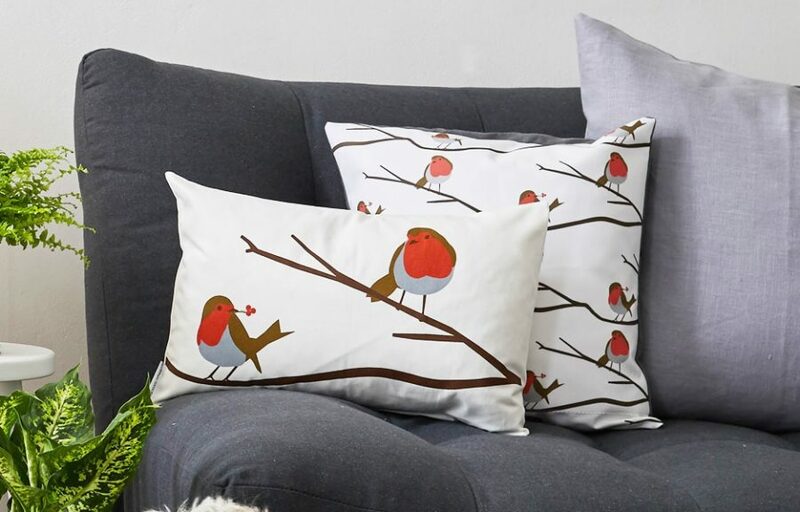 However, its at Christmas, when their red breast and delightful song cuts through the winter frost and Robins are welcomed merrily as festive guests.